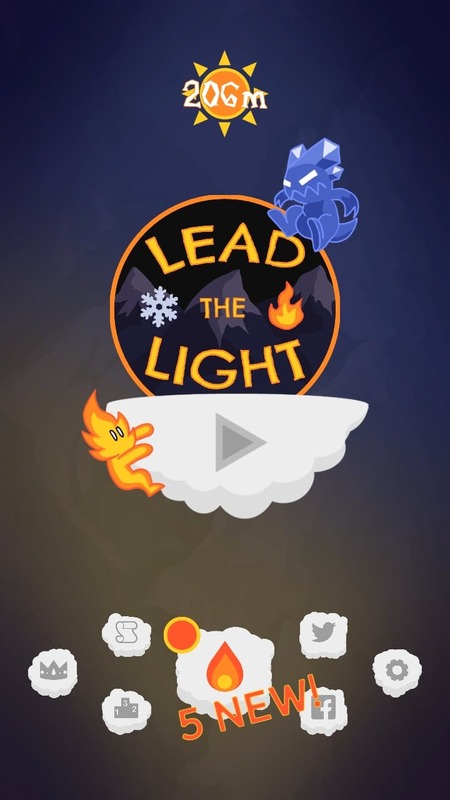 Lead the Light, a free, fun and exciting physics-based arcade game, is available for download now on the Apple App Store and Google Play. It’s the dawn of a new day, and Alpy the sun spirit is on a mission to bring warmth and light to the world. In his way is Auster, a vengeful winter spirit who wants ice and snow to rule the land. Block falling ice, fend off Auster, and keep Alpy safe as he rises to the top! The mobile game was created during the 2018 MassDiGI Summer Innovation Program (SIP) by students Caroline Pasyanos from Northeastern, Adrian Michalowski from LYIT, Yukon Wainczak from Becker, Kate Olguin from WPI, Brittaney Chang from NYU, Matt Surka from Brown and Maxime Gautier from Berklee College of Music. Working over t he summer, the team produced a beta/near-release version of the game – watch the trailer here. From there, we brought the game into our LiveStudio program at Becker during the fall ’18 and spring ’19 semesters. Through LiveStudio, more students across a range of disciplines, including business students, had roles in polishing the game and getting it ready to launch. For a roster of all the contributors to the game, check out the credit roll. You can download Lead the Light today for iOS and Android.